Camper and Staff medical forms are enabled independently of each other. Select "Admin" from the navigation bar. 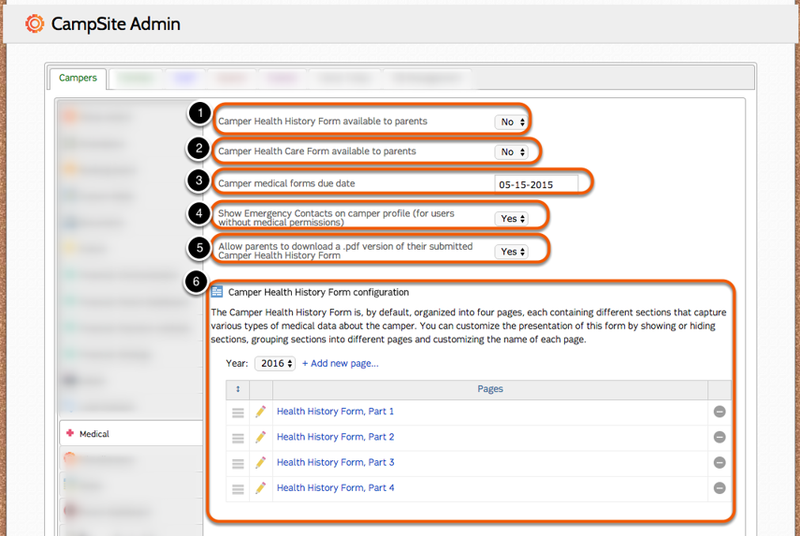 Camper Medical options are controlled within the Admin menu by selecting the Camper tab and Medical sub-tab. Select whether or not you would like camper health history forms available on the Parent Dashboard. 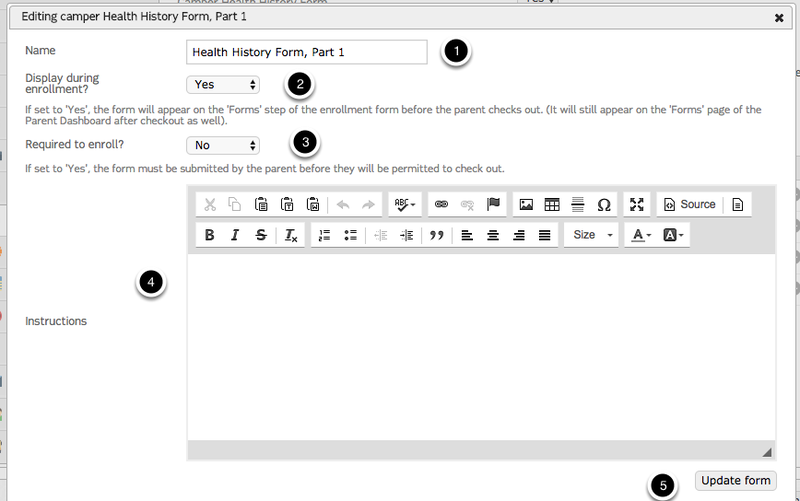 Select whether or not you would like camper health care forms available on the Parent Dashboard. Change the name of the form. 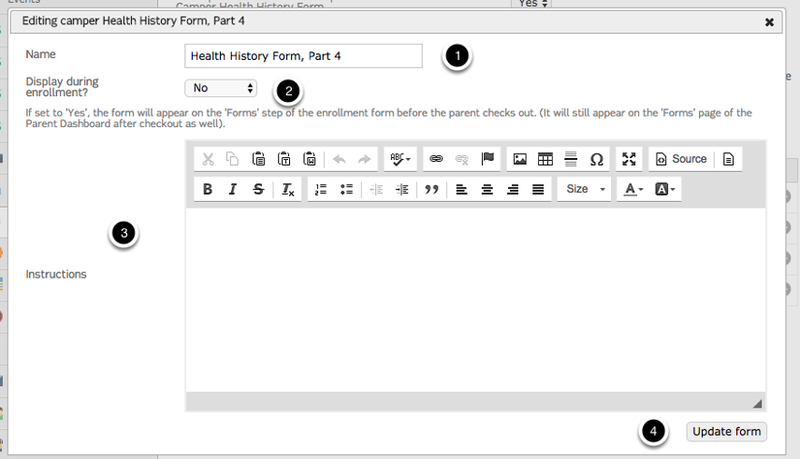 Choose whether or not to display the form during enrollment. Add instructions in the header. Select whether or not you would like the Staff Health History Form available on the Staff Dashboard. 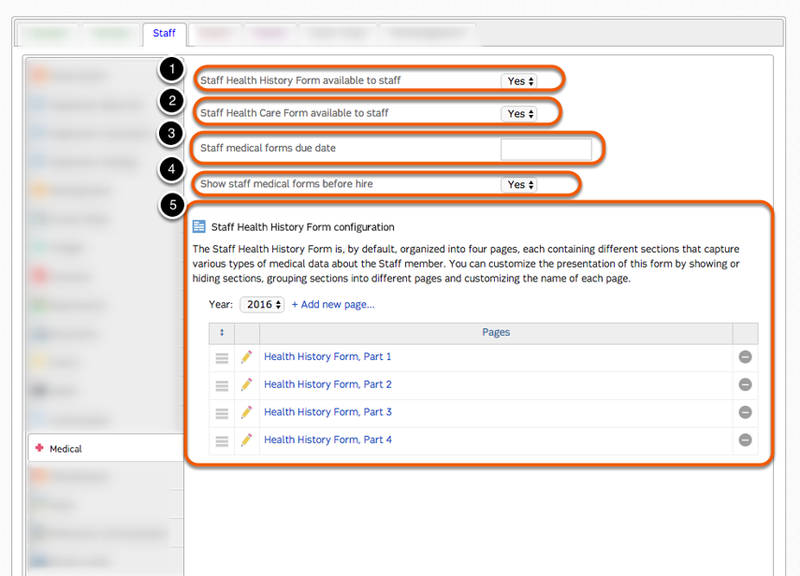 Select whether or not you would like the Staff Health Care Form available on the Staff Dashboard. Add a due date to medical forms. Select whether or not you would like the Staff Forms available on the Staff Dashboard before hire. Choose whether or not to require the form be filled out to enroll/submit an application.